The original Alien is back! 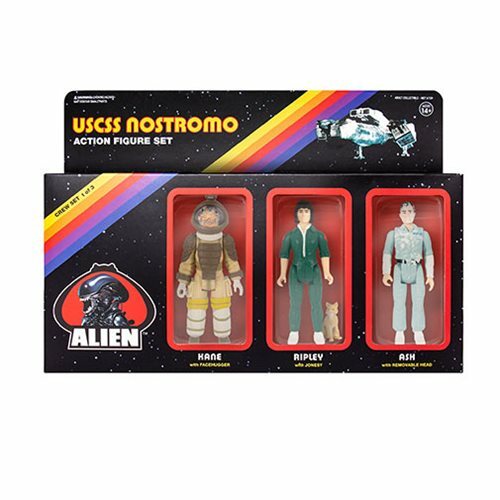 Based on an unproduced Kenner design from 1979, the Alien 3 3/4-inch ReAction Figures Pack A features a window display packaging and includes a Kane with facehugger, Ripley with Jonesy, and Ash with removable head. Ages 15 and up.